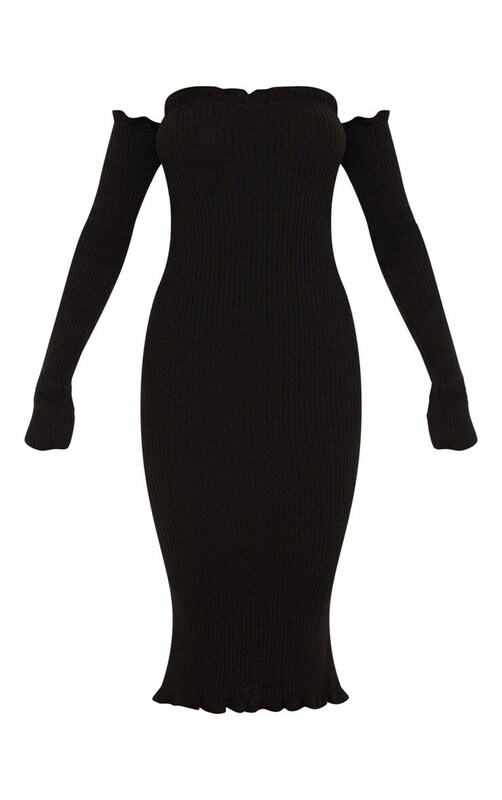 This knitted dress is a total must have. Featuring a red knitted fabric with a ruffle hem in a figure enhancing style. Nail your look by pairing this number with strappy heels.